Italian carnival magic : Carnevale time in Rome. Looking for things to do in Rome in February and March? You can find some carnival magic - if you know where to look. 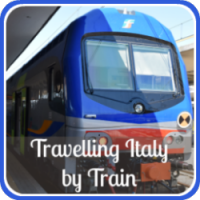 Italian Carnival magic in Rome? It’s not the first place you think of when you think of Italian carnivals - that’s more likely to be Venice’s Mardi Gras celebrations. The Via del Corso candle race. (Painter : E. Caffi, 1850). But before Venice, there was always Rome. Not many people know that the history of Carnival celebrations began in the Middle Ages when bullfights and horse tournaments took place in Rome’s ‘Piazza Navona’. The festivities grew larger and more important with the years until by the Renaissance it was an eight day party spread all over the city and ending on the evening of Mardi Gras, the night before the start of fasting at Lent. 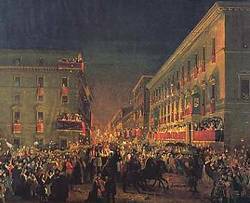 The spectacular candle-lit race down the Via del Corso on that evening became one of the most popular things to do in Rome at Carnival time. No-one's quite sure. This Carnival, having been right up there with Venice as one of the most important, seems to have fallen into oblivion by the start of the 19th Century and, until as recently as 2009, it was a non-event. It might be that two known facts give us a clue. Firstly, the days of Carnevale were when common people could break laws without facing consequences. Those laws were mostly laid down by the Church and involved, as they did in Venice, the use of masquerade masks to carry on illicit relationships. And the second established fact is that the Pope himself was the only person who could give permission for the Carnival to take place. 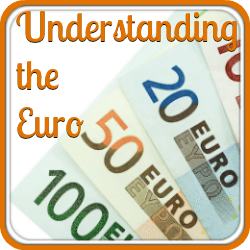 Putting two and two together - it may well be that the Pope stopped sanctioning an event which meant that people living in or visiting Rome thought that one of the best things to do was to break the Church’s rules! It was only in 2009 that the city of Rome decided to try to revive the Carnival magic of old. It’s still in its very early stages and in no way does it equal Venice or the madness of Ivrea's orange festival - so we wouldn’t necessarily recommend traveling there specially to see it. But if you’re going to be in Rome anyway, it’s worth knowing what’s going on. Firstly - the dates of Mardi Gras. Rome’s Carnival is only ever the last eight to ten days before Shrove Tuesday - unlike others, it doesn’t spread over weeks. 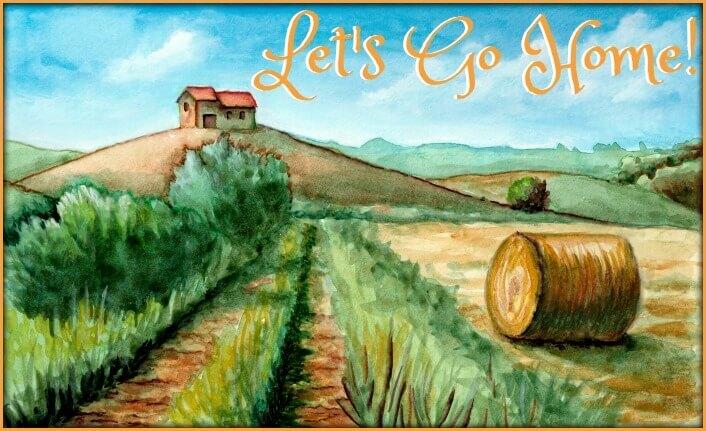 Secondly - decide where you want to be! The Via del Corso usually has something going on and has been the traditional place for the start of the opening parade (although that doesn’t necessarily mean it will be every year!) The parade involves a much smaller spectacle than those in places like Rio, but nevertheless children will love it. Part of the costumed parade. You’ll find floats, magicians, jugglers, musicians, lots of colour, lots of noise - and like Venice, it also involves Italian masquerade masks and elaborate costumes. 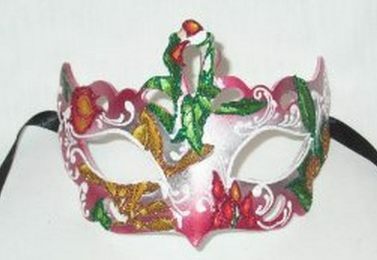 If you’re going to be there, join in the fun yourself and buy a Carnevale mask before you go! The Piazza di Spagna, Piazza Navona and Piazza della Repubblica all have events - mostly theatre and children’s entertainment which ends up being something between a circus and a street party. All great fun, all colourful, noisy - and your kids will love it! As another great treat try the area around the Castel Sant’Angelo. The atmosphere there is particularly buzzy, there’s generally some music going on and often a decorated artificial ice rink where Romans - who very rarely see either ice or snow - can enjoy skating under the stars. 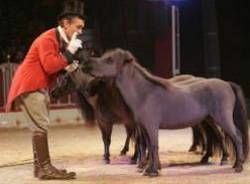 Children will love the opportunity to meet the horses. And it hasn’t changed. This is the place to be to get the best of Rome’s Carnival magic. It’s one of the main centres of festivities for the whole week. If you want to see anything and you haven’t taken note of a timetable, wander down to this square and you’ll almost certainly find something happening. Horses have always been a big part of Rome’s Carnival magic - and still are. A bit like the running of the bulls in Pamplona (Spain), Rome’s famous riderless horse race used to start in this huge Piazza, move down the Via del Corso and end in the Piazza Venezia. 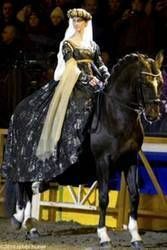 These days, the race is reduced to a horse-back costumed parade, including horses from the Italian military’s equestrian unit - but horses are there mainly for the entertainment of the children. And afterwards for the duration of the Carnival, young children are offered horse rides - for free - in the Piazza, and everyone is welcome to watch rehearsals for the big horse show of the week, when some of the biggest names in equestrian events present horse acrobatics, dressage and movement to music. Also in the Piazza del Popolo is a themed stage with productions from classic 16th and 17th Century Italian plays (always in Italian); a merry-go-round for the children; puppet shows; and lots of sugary Carnival sweets! The last day of the Carnevale sees the culmination of all the festivities. 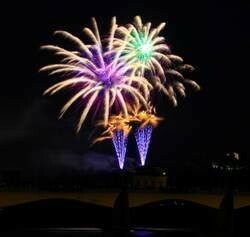 It always takes place on Mardi Gras - the day before the beginning of Rome's Lent calendar on Ash Wednesday. The final event of all stays in the main area of festivities - the Piazza del Popolo. Above the square is the Terrazza del Pincio, at the edge of the Borghese Park, and it’s from here that a fabulous firework display is given. The best vantage point is down in the Piazza del Popolo, or if you’re very lucky from the amazing restaurant terrace of the Casina Valadier (which is where we had our wedding meal after our marriage in Rome!) overlooking the city. So - is Rome’s Carnival magic? Well, it will probably never rival Venice's carnival for the lavishness of its festivities. 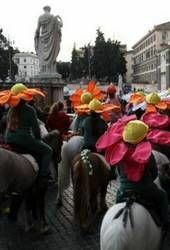 The city is too busy building up to the elaborate religious celebrations of Easter in Rome. All the same, it’s great to see a revival of Rome’s culture and, as the mayor who re-introduced Carnevale to the Eternal City said, it “rediscovers the heart of ancient Rome” where past traditions and modern Italian culture come together. So it might not be as opulent as Venice. It might not be as spectacular as the religious celebrations about to follow in the run-up to Easter Sunday in Rome. But is it worth seeing? Definitely. If you're visiting Rome with children and looking for a really fun thing to do, have a look at Rome's gladiator school - they'll go home with the most amazing memories and with living facts about ancient Roman culture. 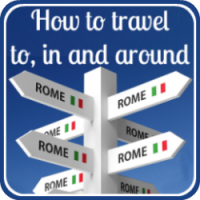 This link will give you more ideas about what to do with kids in Rome - after all, there's only so many ancient monuments they can take! 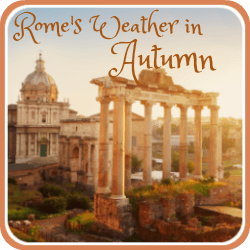 If you're travelling to Rome, check out what the weather will be like at any time of year - and get the forecast for the next ten days.